Embedded analytics closes the last mile between insights and action. It puts charts, reports, databases, and entire self-service analytical environments inside applications that run your business. 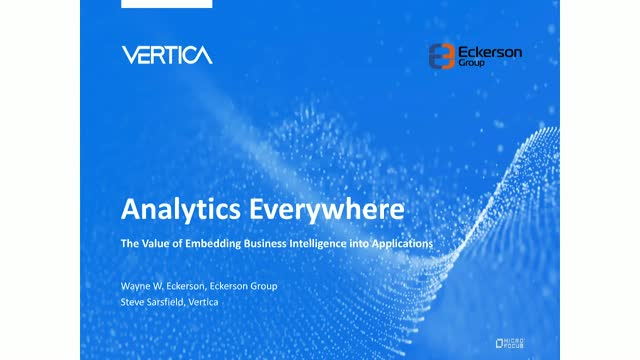 Join us on this webcast and learn how embedded analytics can add value to your applications and drive competitive advantage. You will also see real life examples of companies that have successfully embedded solutions like Vertica Big Data Analytics.